My fiance, Mike, introduced me to Sunbutter – because of the whole peanut salmonella scare.. Mike loves peanut butter, and eats about a jar every month.. so he switched to Sunbutter for the time being and told me to try it. Its awesome, it tastes like peanut butter, but rather than the peanuts its sunflower seeds. Yum yum.. It also has absolutely no peanuts in it, and its processed in a completely peanut free facility.. so people with Peanut Allergies can go to town on this stuff. Get it at Trader Joes or most natural food stores. 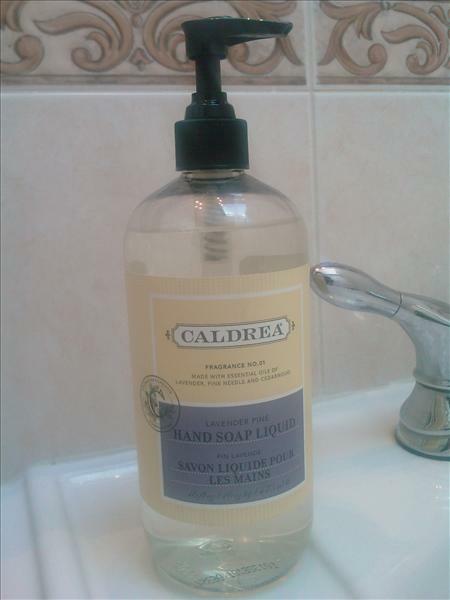 I recently added my favorite Molton Brown handsoap, thai vert.. A very pricey, but very fragrant herby soap.. Im happy to say I found another favorite that isnt so tough on the wallet – Caldrea Lavender Pine Handsoap – & it is very true to its name.. Imagine someone dropping into your hands some dried lavender and pine, and you rub them together and all the oils come out and release this beautiful foresty scent into your skin. And the scent really lasts. At only $12.50 for 16 oz, its not as snobby as the molton brown, but its still very boutiquey. So get that store bought handsoap (unless its Dove original scent) out of your bathroom, and get this stuff in! I traveled down to DC and Annapolis MD last weekend to visit my sister and family.. We went to view her Barack Obama Painting on exhibit at the Manifest Hope Gallery in DC. We had a very fun (but cold) trip. I love Washington DC with all its history and majestic architecture, there is so much to see. 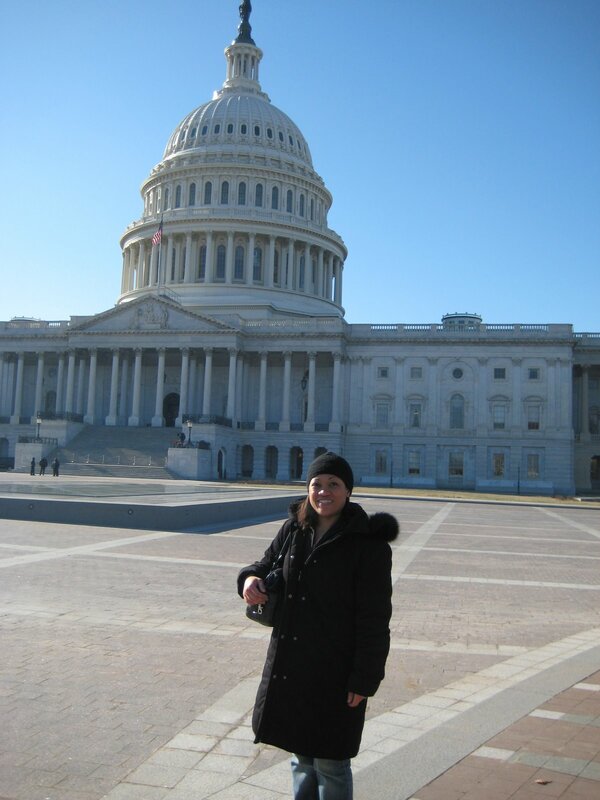 One of my favorites, was our tour of the Capitol Building.. Just walking through its corridors, and imagining our forefathers, gathered within its walls, shaping America and its politics.. its an absolutely stunning building! Looking up from the inside of the dome, there is a fresco painting – The Apotheosis of Washington, on the ceiling.. Its like Washington looking down on you from the heavens – somewhat intimidating when you realize how high up it is..
We walked through the Crypt, and the Statuary Hall – where we saw where John Adams desk once sat (very cool).. we also saw the old supreme court chamber and Nancy Pelosis office. Definitely worth the trip, if you are into politics.. Just make sure you dont bring bags of candy with you when you go through security.. they are strict in these buildings.. and made me throw out all my candy!! i was upset for the rest of the day! During my trip to DC and MD, I caught a little cold. 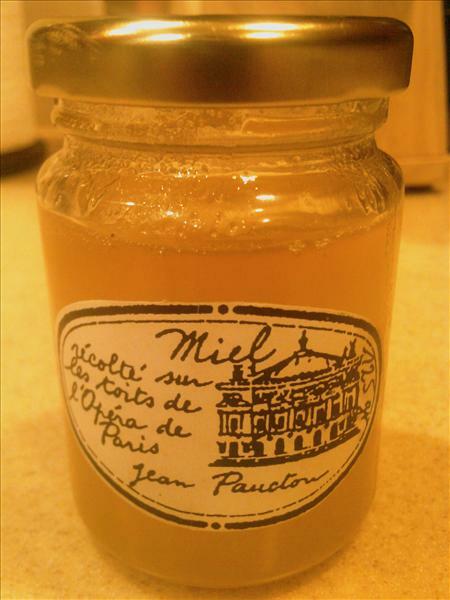 The innkeepers assistant at the Bed & Breakfast we stayed at recommended Honey & Lemon to soothe a sore throat, so when I got back, ofcourse I raided my cabinets and remembered that I had picked up a gem from Fauchon Paris.. A little pot of honey from atop of an Opera House in Paris.. You may wonder what the big deal is about honey from a paris rooftop, really the difference is in the type of bees in cities versus countryside.. It also helps when Time magazine does an article “Whats The Buzz? anyway, to the honey.. its sweet, with a little floral spicyness to it.. a very strong flavor, and the consistency is thick, and somewhat creamy..
During my Christmas shopping, I came across a kitchen store in the mall called Le Gourmet Chef.. Its basically a kitchen and chef supply, but the thing that makes it special, is they have samples of their dips / foods all over the place! So I walked from sample to sample trying all the Robert Rothschild dips.. and all of them were so good.. 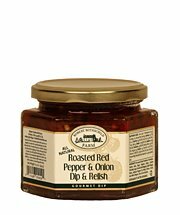 But my absolute favorite, was The Roasted Red Pepper and Onion Relish dip, which i mixed with some cream cheese and put out with pretzels.. My next favorite is the Onion Horseradish dip, which i displayed with pretzels at our Christmas party and was loved by all..delicious and unique stuff.. so many flavors, cant wait to try them all!